Georgia suffered its seventh loss in the last nine games last time out with an 81-66 loss at Vanderbilt. The Bulldogs will face another big challenge on Saturday when they face SEC leading Auburn. With Wednesday’s loss, Georgia fell to 13-10 and 4-7 in Conference play. At the same time, they have watched their at-large hopes slowly fade away. 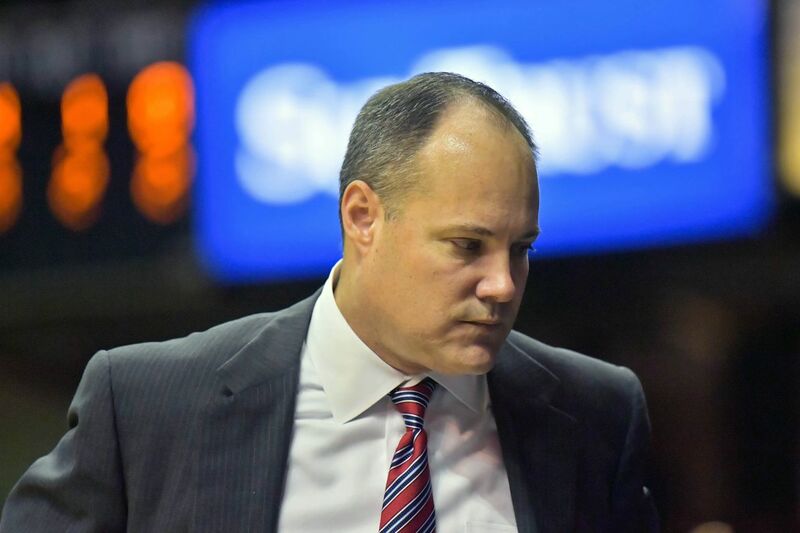 The loss to the Commodores left head coach Mark Fox frustrated but inconsistency is something that this group has battled since the beginning of conference play. Georgia’s been one of the best defensive teams in the conference for most of the season but fell flat against Vanderbilt as the Commodores shot 55 percent for the game and knocked down 11 3-pointers. Offensively it has been a mixed bag beyond Yante Maten for most of the season but constant changes to the lineup and rotation haven’t helped the situation. Tyree Crump made his second consecutive and third start of his career in Wednesday’s loss but played just six minutes. Nicolas Claxton replaced Derek Ogbeide in the starting lineup and was largely ineffective. Freshman TeShaun Hightower did return from a three-game absence due to the flu to log 20 minutes but fellow freshman Rayshaun Hammonds, who was a mainstay in the rotation at the beginning of the season, played just four minutes and went scoreless. Come into the season the Bulldogs’ depth was viewed as a strength of this team but as it has worn on it has become a problem as well. The pieces haven’t fit together as smoothly as the competition increased and the constant changes and tinkering haven’t allowed the team to find any kind of rhythm or flow. Despite their struggles, Georgia will be looking to capture another signature win against the Tigers. Auburn comes into the game with a 21-3 record and a 9-2 conference mark. They had a five-game winning streak snapped on Wednesday with an 81-80 home loss to Texas A&M. The Bulldogs dropped the first meeting between the two teams 79-65 back on January 20. Georgia led 40-26 at halftime but were outscored in the second half 53-25 as Auburn pulled away at the end. Maten led the Bulldogs with 17 points and nine rebounds in that matchup while Bryce Brown led the Tigers with 28. Counting Saturday’s game, the Bulldogs have seven regular season games remaining. At this point, RPI’s don’t really matter. Georgia and Fox need a win in the worst way. What Is The Definition Of Promotional Products?